Researchers studied James Bond's drinking habits by reading all 14 books and found that Bond drinks over four times the recommended amount. Based on this, the level of functioning he displays is inconsistent with the physical, mental, and indeed sexual functioning expected from someone drinking this much alcohol. They also put into context super spy James Bond's preference for martinis that are shaken not stirred. They theorize that James Bond suffers from alcohol tremors that makes it difficult for him to stir. The objective of this study is to quantify the spy's alcohol consumption as detailed in the novels by Ian Fleming. Based on the 14 Bond books by Fleming, James Bond consumes around 92 units a week which is four times more than the recommended amount. Out of 87.5 days, only 12 days were alcohol free and his maximum alcohol consumption in one day was 48 units. Because of the level of alcohol intake, James Bond has a high risk of alcohol related disease such as alcoholic liver disease, cirrhosis, impotence, alcohol-induced tremor, and an early death. 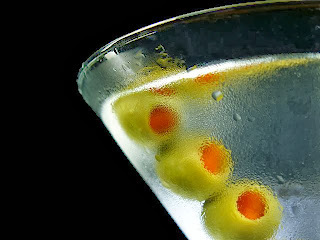 Although James Bond is a fictional character, the authors of the study feel that alcohol consumption, being a global health problem, is portrayed by the character in a positive manner. James Bond's alcohol consumption may explain why he prefers his martinis "shaken, not stirred" say researchers in the Christmas edition of The BMJ this week. They show that Bond's weekly alcohol intake is over four times the recommended limit for an adult male, putting him at high risk of several alcohol related diseases, such as alcoholic liver disease, cirrhosis, impotence, and alcohol-induced tremor, and an early death. They conclude that James Bond was unlikely to be able to stir his drinks, even if he would have wanted to, and suspect that the spy's famous catchphrase "shaken, not stirred" may well be due to alcohol induced tremor affecting his hands. So they decided to measure Bond's alcohol consumption, as detailed in the novels by Ian Fleming, and the potential health effects of this. Many studies have shown that people generally underestimate their alcohol consumption by around 30%, say the authors, implying that Bond's alcohol consumption may be as high as 130 units per week. "The level of functioning as displayed in the books is inconsistent with the physical, mental, and indeed sexual functioning expected from someone drinking this much alcohol," they write. "We advise an immediate referral for further assessment and treatment, a reduction in alcohol consumption to safe levels, and suspect that the famous catchphrase 'shaken, not stirred' could be because of alcohol induced tremor affecting his hands," they conclude.